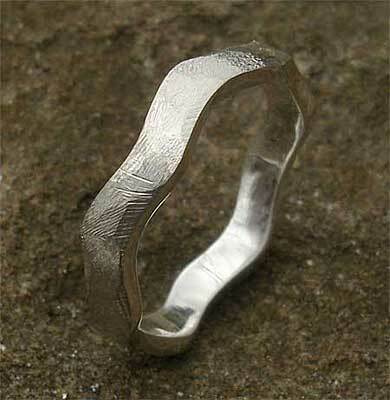 Men's Designer Silver Wedding Ring : LOVE2HAVE in the UK! 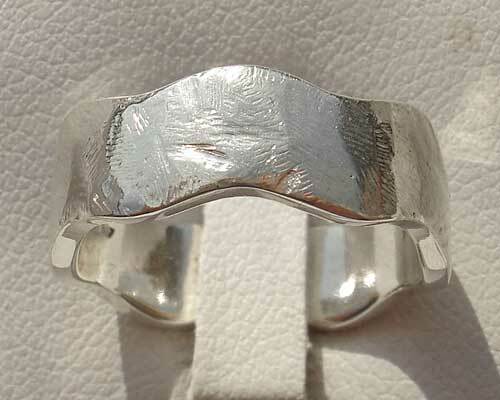 Here we have a men's designer silver wedding ring if you are looking for something unusual for him with a textured distressed finish for that modern urban look. The ring also features an attractive waved shaped style and is the wider 6mm version for men that matches the thinner 3mm on our website also pictured. We can provide you with further instruction if you wish to order them as a set and there is also an engagement ring to match too. It features the same pitted texture and waved shaping. Our silver rings are an excellent option for designer wedding ring sets to suit everyone's budget. 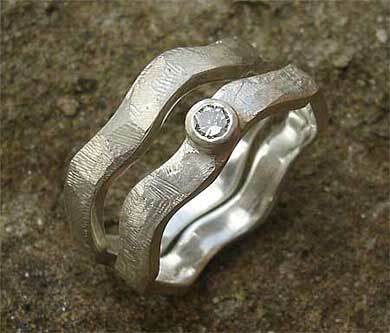 They come beautifully handcrafted from one of the many independent jewellers in the UK.